GrabPoints Review: Is Grab Points A Scam? Update: The company recently made some changes. I’ve updated the information in this review to show the new ways to earn and the new reward options. 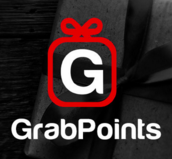 GrabPoints is a new rewards site that pays you to do many things such as take surveys, watch videos, download apps, and complete offers. Some of you may be familiar with similar sites such as Swagbucks. I decided to write a review of Grab Points because a few readers have had a few concerns with this site before joining. It looks like Grab Points is not a scam, but it’s not my favorite rewards site either. One thing that I like is the mobile app. Other than Swagbucks, Grab Points has one of the best apps out there to make money on your smartphone! 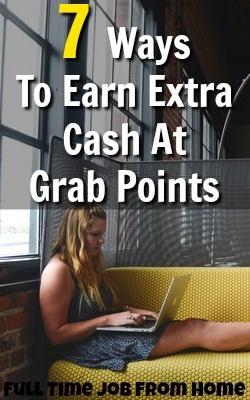 Please understand that in no way will GrabPoints make you rich, it’s an extra income site that offers a few ways to earn pennies online. If you’re looking for a large online income, check out My #1 Recommendation, it’s how I made over $13,000 online last month! In this Grab Points Review, I’ll cover how to earn, rewards, complaints, and all you need to know before joining GrabPoints! In this Grab Points Review, I gave them a good score and marked them legitimate. Overall it’s a pretty good rewards site that offers many ways to earn and has a decent amount of reward options. What I liked about GrabPoints is the app, other than that there’s not anything special about this site. If you’re interested in making money on your smartphone, Grab Points is a good option, along with Swagbucks. At Grab Points you’ll find free and paid offers. Most free offers pay 500-2000 points and require you to sign up for a free site. Most of the paid offers require you to purchase a product/service or start a free credit card trial. These offers usually pay 2,000-10,000 points. One thing to keep in mind is to cancel any free trials before you get charged! Grab Points does not have any surveys that they host themselves, but they do give you surveys from a few other companies. There are usually 10-25 surveys available at any time, but you need to complete your profile before any surveys become available. Most surveys pay from 500-2500 points and will show an estimated time to complete the survey. One of the easiest ways to earn at Grab Points is by downloading apps. You’ll see a long list of apps that Grab points will pay you to download. It will show the requirements and how much it pays. Most apps just require you to download and open the app, but others require you to reach a certain level of a game or keep the app installed for a period of time. Most apps pay from 100-500 points. Grab Points will pay you to watch videos, if you go to the watch video tab, you’ll see a list of 10 or so videos available to watch. Usually, videos pay 10 points each, and each video is under 2 minutes long. You can earn points just for sharing Grab Points on social media. You can make for creating a YouTube video, posting a link in a forum, or by posting a photo on social media. No one has to join; you’ll earn points just for sharing. You’ll earn 1 point for every friend that you invite to Grab Points. You’ll earn an additional 500 points ($.50) after your friend makes 1,000 points ($1). You can invite friends via email, social media, or through your unique link. Grab Points occasionally posts promo codes on social media and will also send them to you as notifications. Promo Codes usually pay 7-10 points a piece, all you have to do is claim them. As a Grab Points member, you’ll earn points that you can exchange for rewards. Most reward options start at $10 or 10,000 points. Some rewards available include Walmart, Target, Amazon, and PayPal. Although most rewards start at $10, Amazon gift cards start at $3 or 3,000 points, and PayPal payments start at $5 or 5,000 points. It seems that gift card rewards are sent directly to your email within 72 hours of requesting a payment! The first thing you should know about Grab Points is it’s not going to be a huge income. Grab Points and the app are just extra income sites. You should not expect to make more than $50 a month. As long as you go in knowing that it’s just extra income you should be pretty happy with the site! GrabPoints does have an app available for Apple, Android, and Kindle mobile devices. Not only do they have one, but it’s an excellent app that lets you earn and even cash out all inside the app. Most rewards sites are great on desktop, but there’s only a few that are awesome on mobile devices. This is a huge plus if you want to earn extra cash on your smartphone! GrabPoints is not a scam; there’s a lot of payment proof on the internet. With that being said I think there’re better rewards sites out there. But if you’re set on joining Grabpoints you’ll join a pretty good rewards site that does pay its members. If you’d like to learn more or to join, visit GrabPoints.com. As I mentioned, I prefer other rewards sites over GrabPoints. You can see a long list of Extra Income Sites I Recommend. 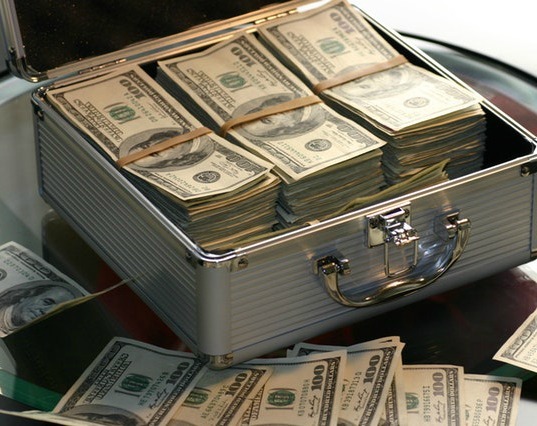 Extra Income is great, but don’t you want to learn how to make a larger online income? If making a small extra income is not for you, check out My #1 Recommendation, it’s how I made over $13,000 online last month!